Knowledge Representation: Logical, Philosophical, and Computational Foundations by Brand: Brooks / Cole at Translate This Website. Hurry! Limited time offer. Offer valid only while supplies last. John Sowa integrates logic, philosophy, linguistics, and computer science into this study of knowledge and its various models and implementations. 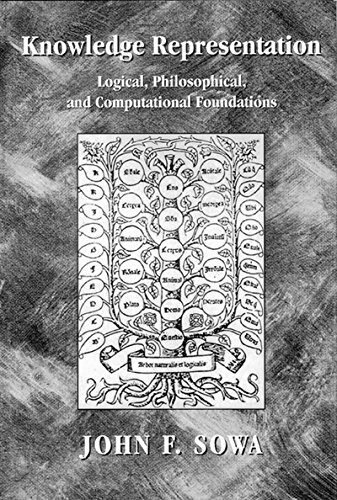 John Sowa integrates logic, philosophy, linguistics, and computer science into this study of knowledge and its various models and implementations. His definitive new book shows how techniques of artificial intelligence, database design, and object-oriented programming help make knowledge explicit in a form that computer systems can use. The first three chapters are devoted to logic, ontology, and computable models of reality. Remaining chapters apply theories to the analysis of problems stated in ordinary language, and their translation to computable form. The text is self-contained, with each new idea defined when first mentioned; all formalism is developed in the body of the text or summarized in an appendix. Knowledge Representation is appropriate for advanced undergraduate and graduate students in computer science, as well as philosophy and linguistics students with some background in artificial intelligence or programming. If you have any questions about this product by Brand: Brooks / Cole, contact us by completing and submitting the form below. If you are looking for a specif part number, please include it with your message.